The Super Villain Summit presents our 1st annual Cosplay Prom! The ONLY Fandom event in Nashville on July 6th! Hosted by D'Elle Memphis - The Pinup Cosplayer! Attend as your favorite comic, anime, sci-fi or pop culture character! Compete in the popular vote Cosplay Contest to crown our prom’s King & Queen - Cash prize and cool swag package for the winners! Charity Auction to benefit Fighting for Autism. 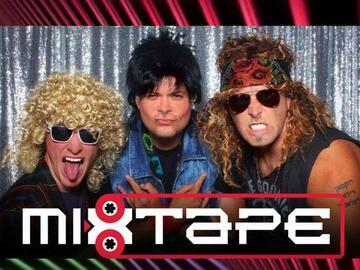 Then dance the night away to live music from Mixtape - THE 80s tribute band! Professional photo booth courtesy of Toy Robot Visual Arts! Vendors, artists, and celebrity cosplayers and food trucks after 8 PM! Beer and wine available at the bar! For ages 16 and up! Proceeds benefit Fighting for Autism! Presented by The Super Villain Summit - www.supervillainsummit.com.